This machine is used to produce the automobile panel air filter. 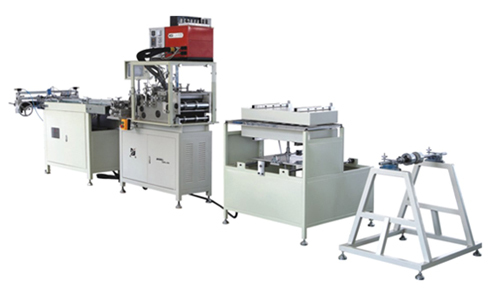 1.Both the working speed of the machine and transmission speed of conveyer belt are controlled by computer, and can be easily adjusted. 3.The temperature can be predetermined in accordance with the requirement of the technical process. When the pleating machine runs and the heater will start to work automatically. 4.It adopts the water steam device, which is advantageous to prevent the paper from breaking when it is marked by rollers. 6.Set the pressure control unit in glue feeding circuit to ensure the circuit safety. 7.Both the rubber hose and nozzle are independently controlled in terms of temperature, and easy to operate.